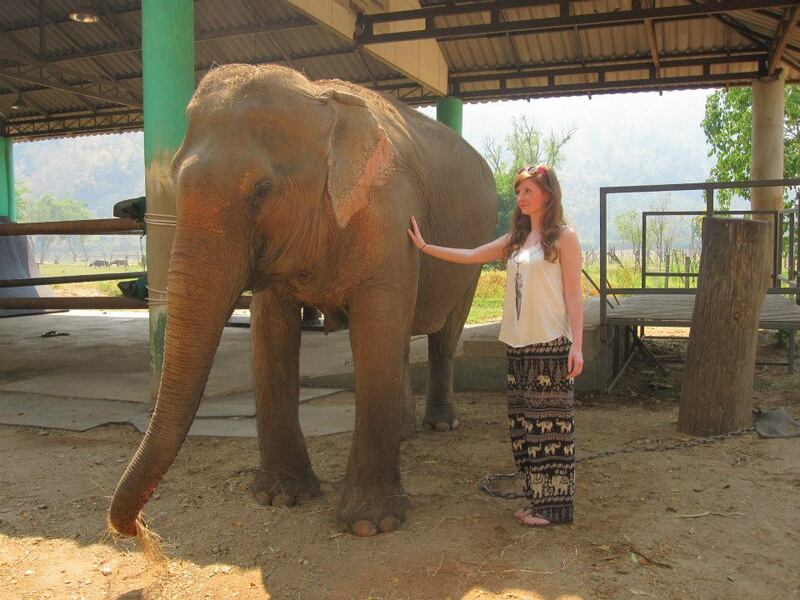 During our time in Chiang Mai, we took a day trip out to the Elephant Nature Park. 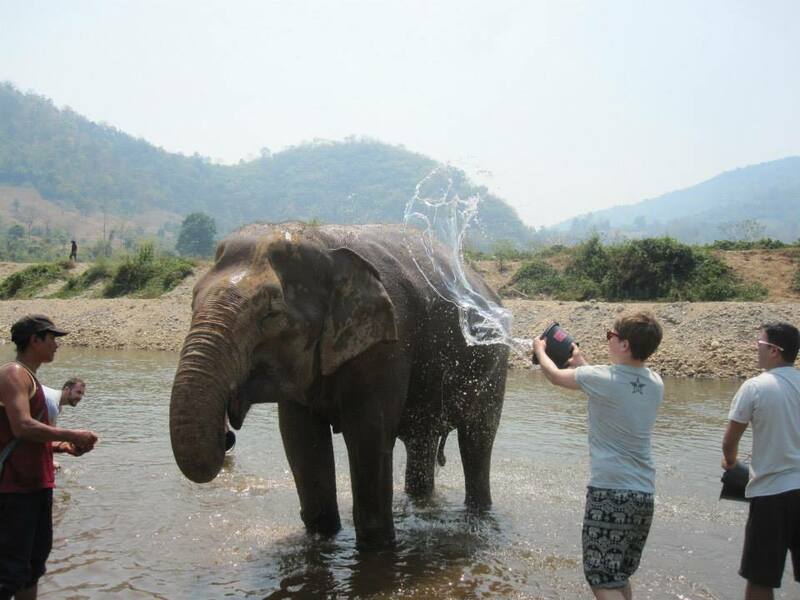 Josh and I had decided before we went to Thailand that we didn't want to take part in, or give any money to, trips or tours that used elephants cruelly or just for tourists' benefit. Finding an elephant park that didn't provide rides on the elephants for entertainment was quite hard, but then we finally found the Elephant Nature Park in Chiang Mai. Set 60km out of the city, the park is a rural sanctuary and rescue center for elephants that have been abused or mistreated for work or tourism. Domesticated elephants are rescued from abusive work and situations, then live as free as they can be on 300 acres of land in the park with food and care provided every day. It's as close as they can be to the wild, but as they're already domesticated and have been for many years, they need humans on hand to provide food and medical care which the park provides. 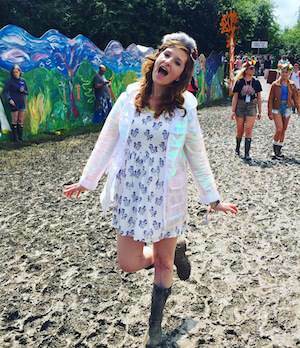 Volunteers pay around 50GBP to visit the park for the day, all of the money goes towards maintaining and improving the park and care for the elephants. Throughout the day the volunteers learn about the elephants' histories, how they're cared for, but also help the park staff feed the elephants and wash them too. It was such a fun day and I genuinely felt like our money was going towards a good cause and that the money was put to the best possible use too. The staff work so hard every day, there's currently 30 elephants in the park and every single one has been rescued from an abusive situation. Some of them were chained up in the middle of busy cities and forced to take tourists on rides on the busy streets at all times of the day. The park also takes in stray dogs, if you've ever been to Thailand you'll know there's hundreds of them around, so they all need looking after too! The elephants had created their own 'families' and herds within the park, even though none of them are related. It was so nice to hear how some of the elephants had adopted others when they were new to the park, one blind elephant arrived and was quickly adopted by another elephant who now acts as her guide! 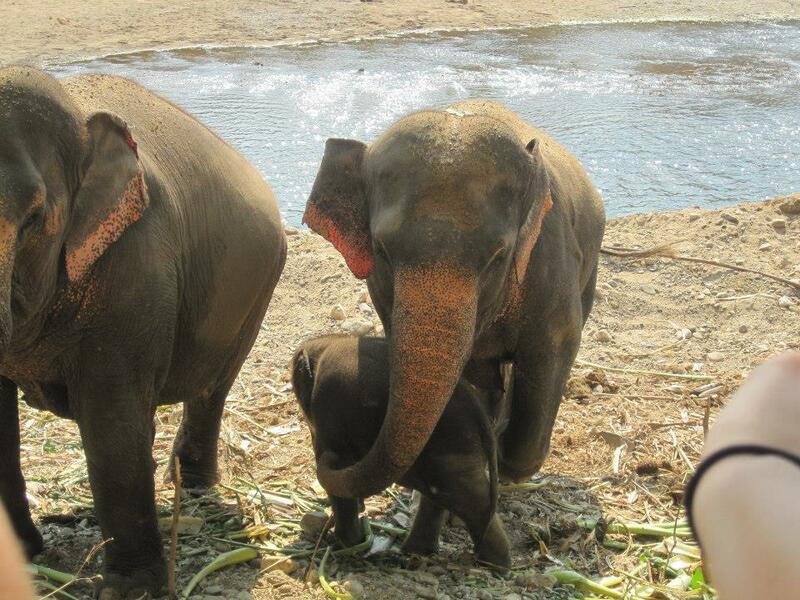 There were also two very young elephants, a one year old and a 6 month old baby (pictured above)! They were so cute! The one year old hadn't quite mastered how to use it's trunk to get food into it's mouth so kept missing, it was so funny! It was amazing to see the elephants up close, they're such beautiful creatures and I'm so happy I got to experience them when they were well looked after and happy! If you ever go to Thailand you really have to go to Chiang Mai (you should go anyway it's a fun city!) and the Elephant Nature Park! Oh My! 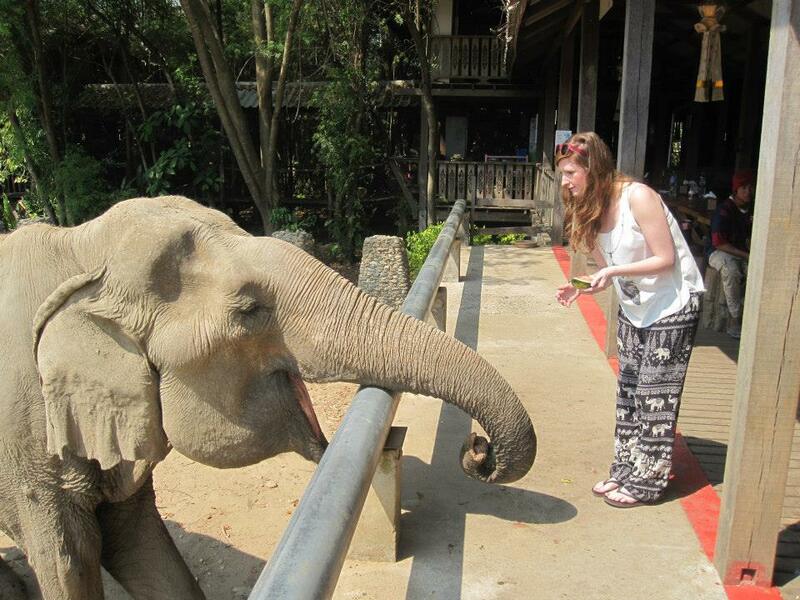 I think my eyes were as big as saucers looking at those beautiful Elephants! So so jealous. 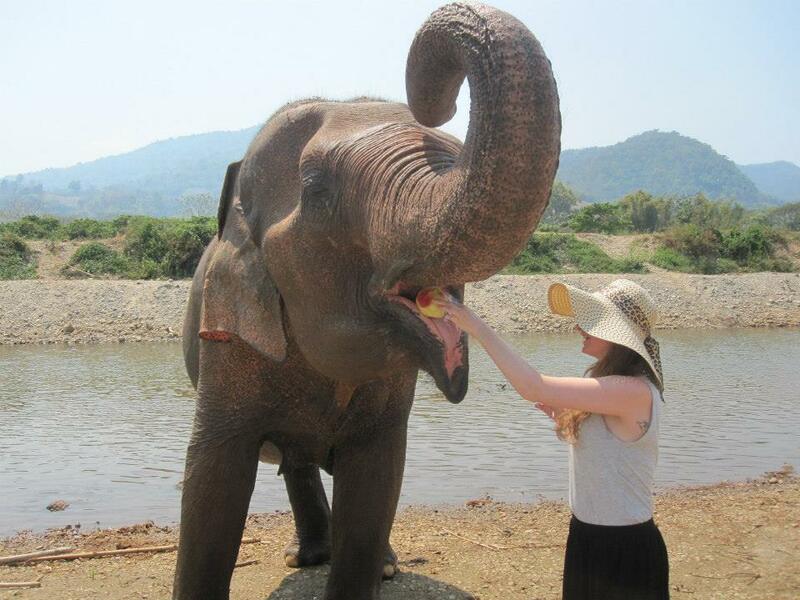 That must have been an incredible experience, elephants are such amazing and beautiful creatures! 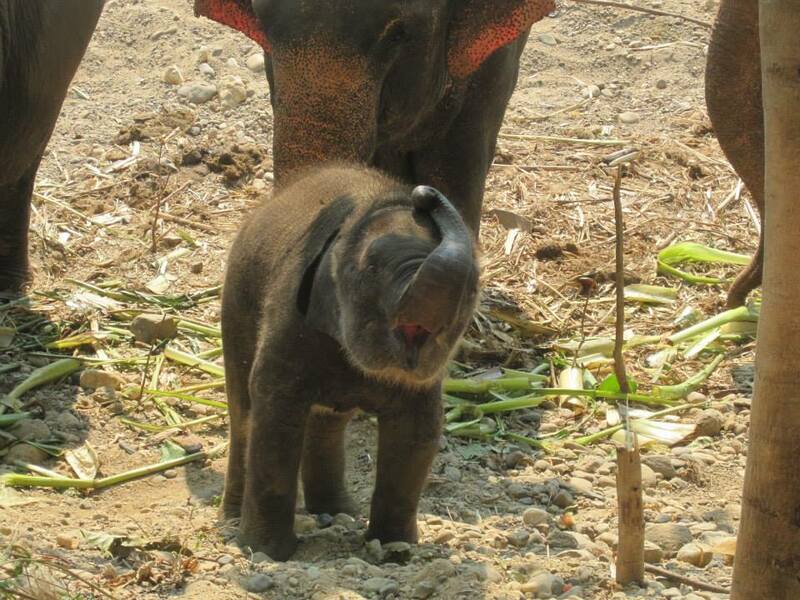 Aww look at the baby elephant! Sooo cute <3 These photos are amazing, what an incredible experience.